Every day cleaning. Good price. Nice little restaurant. Next to a walking/ cycling path. Not too far from the next supermarket. 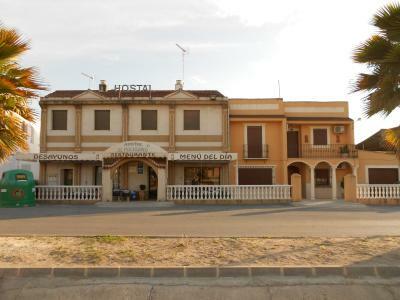 A lovely Spanish hotel (hostel as it's called) with lots of character and 'heart' and friendly family who are very hands on. A delightful stay and a welcome change to the duplication syndrome of the larger hotel chains. Very good value for money. Don't be put off by it's location and there is loads of parking on the doorstep. Het ontbijt met lekkere koffie, broodjes, ham etc. De " menu de dia" was uitstekend. De kamer werd erg goed schoongemaakt iedere dag. Je kon ook buiten zitten en je eigen drankjes nuttigen. Maar de prijzen van drankjes en eten waren niet hoog, dus hebben wij niet gedaan. Hostel lag vlak bij alle uitvalswegen en 2 km van centrum vandaan. Lo mejor el precio y la limpieza. El inconveniente es la distancia a la población. Beh è un hotel economicissimo ed è vicino alla zona industriale, che è quello che mi serviva. E' veramente supereconomico, il titolare è molto disponibile, alla fine non si mangia malissimo. Con quella cifra non si può veramente chiedere di più, però bisogna essere veramente molto adattabili. Hostal El Polígono This rating is a reflection of how the property compares to the industry standard when it comes to price, facilities and services available. It's based on a self-evaluation by the property. Use this rating to help choose your stay! 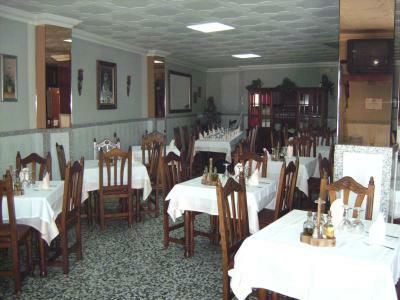 Just 1.2 mi from Lucena, El Poligono offers a traditional restaurant with a terrace, 24-hour reception and a free Wi-Fi zone. 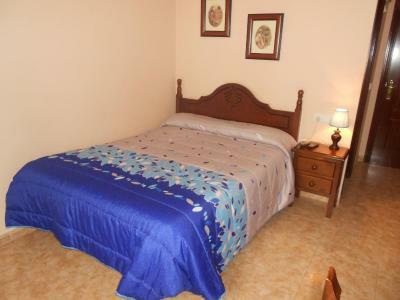 The simple, air-conditioned rooms feature satellite TV, a desk and a private bathroom. 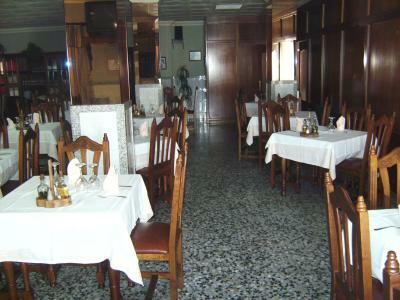 Hostal El Poligono’s restaurant serves regional cuisine, including a daily set menu and homemade desserts. Packed lunches are also available on request. Located on Los Santos Industrial Estate, the guest house has easy access to free public parking and the A-45 Motorway. 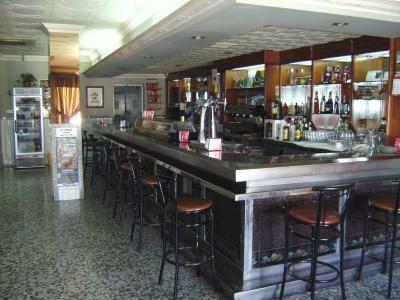 Córdoba is a 50-minute drive away, while Málaga is around an hour away. This property is also rated for the best value in Lucena! Guests are getting more for their money when compared to other properties in this city. 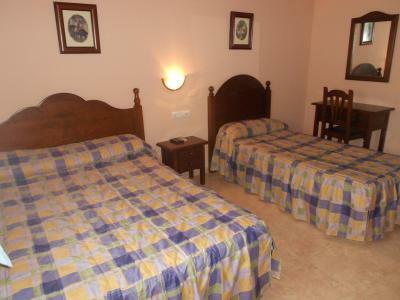 When would you like to stay at Hostal El Polígono? 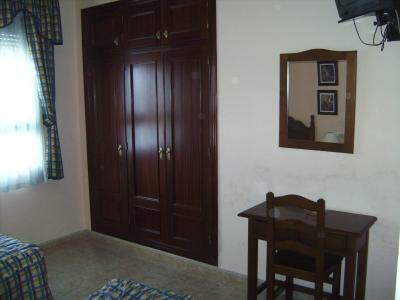 This simple, air-conditioned room features satellite TV, a desk and a private bathroom. 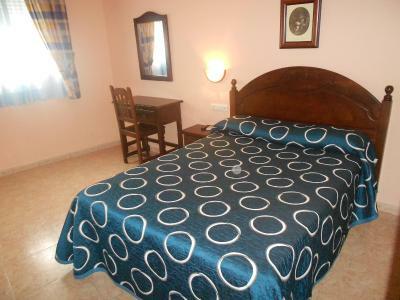 House Rules Hostal El Polígono takes special requests – add in the next step! Free! One child under 7 years stays free of charge in an extra bed. 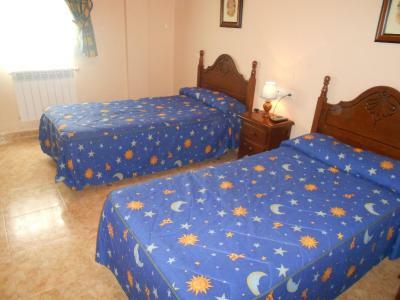 One older child or adult is charged EUR 15 per person per night when using existing beds. 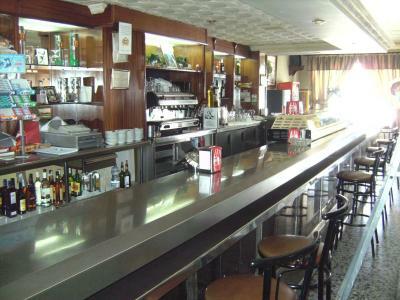 Hostal El Polígono accepts these cards and reserves the right to temporarily hold an amount prior to arrival. Very thin walls. Lots of noise. Shower wasn't really doing a good job. 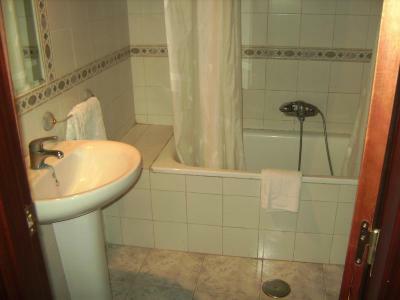 Bathing tub way too small for people over 1,20m. Convenient base for our road trip. A bit noisy in the evening and early in the morning as you can hear every little movement at the common corridor. Cleanliness was great. Good value for money.